Cook sugar, corn starch and milk in a saucepan over medium heat until thick. Add butter and vanilla off the heat. Pour into pie shell and bake for 20 minutes at 375 degrees. While pie is baking, whip cream and sugar together to form stiff peaks. ‘Sure,’ I typed into my phone. I received two subsequent texts later in the day, one asking if I’d like some bacon to cook and crumble on top (heck yes!) and one informing me of the addition of a ‘surprise dessert.’ Hurray! With what little time I had, I did what Myrs. 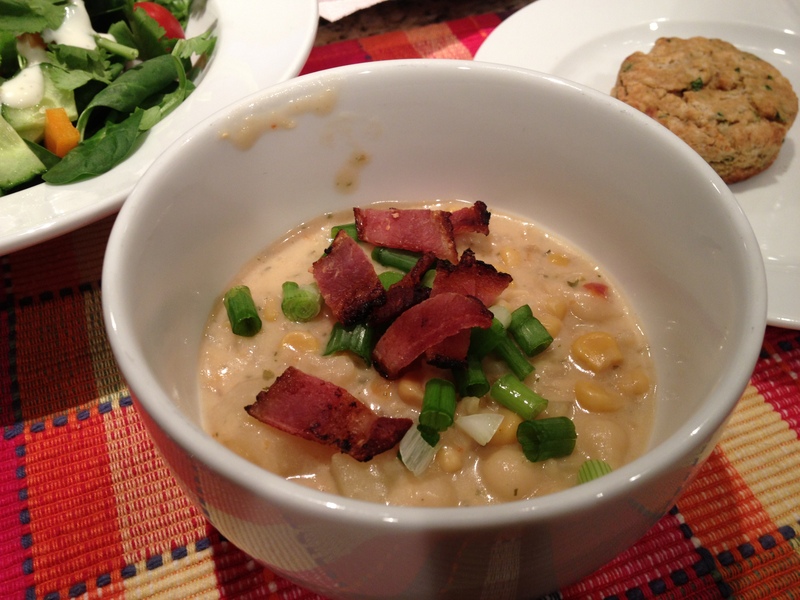 Nye would have done: I whipped up some biscuits to go with the soup! 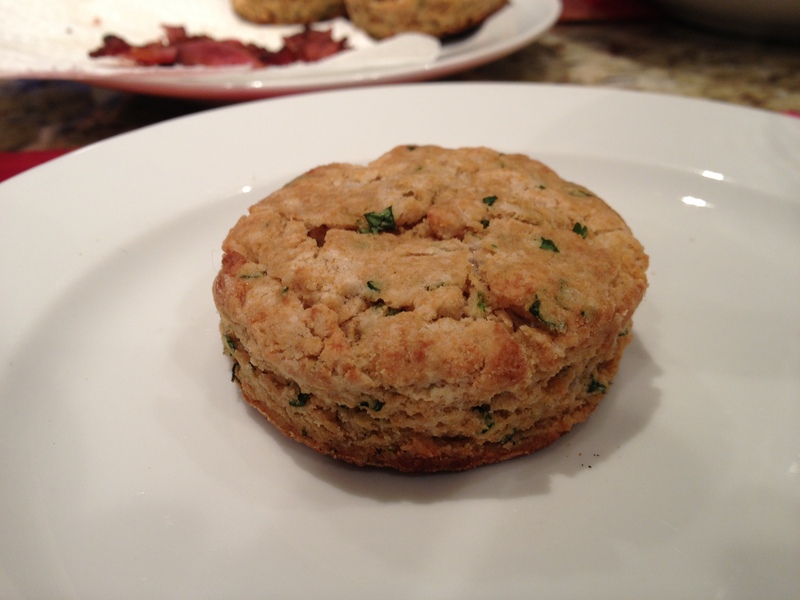 Feeling our dinner needed a little more protein, I found a recipe for quinoa-herb biscuits and got to work. I browned and cut-up the bacon, chopped some green onion and put some salads together. Dinner was on the table in minutes. For dessert, Mrs. Nye had sent over a pie (of course) and insisted we try it before she would tell me what it was. I whipped some cream, because you can’t have pie without whipped cream (or ice cream). The verdict: Andrew ate all but one bite! It was wonderful, and turned out to be a ‘cream cheese pecan pie,’ but to be honest, I thought the bottom layer had pineapple in it! 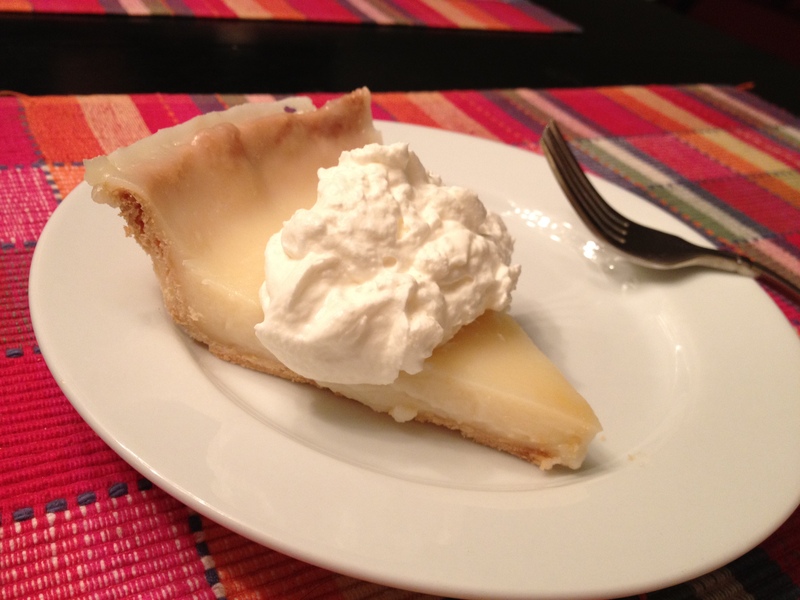 The cream cheese layer was undetectable to Andrew (and Mrs. Nye confessed she’d forgotten Andrew’s dislike of cream cheese until after she’d dropped off the pie), and wasn’t ‘cheesy’ as much as it was a creamy texture. 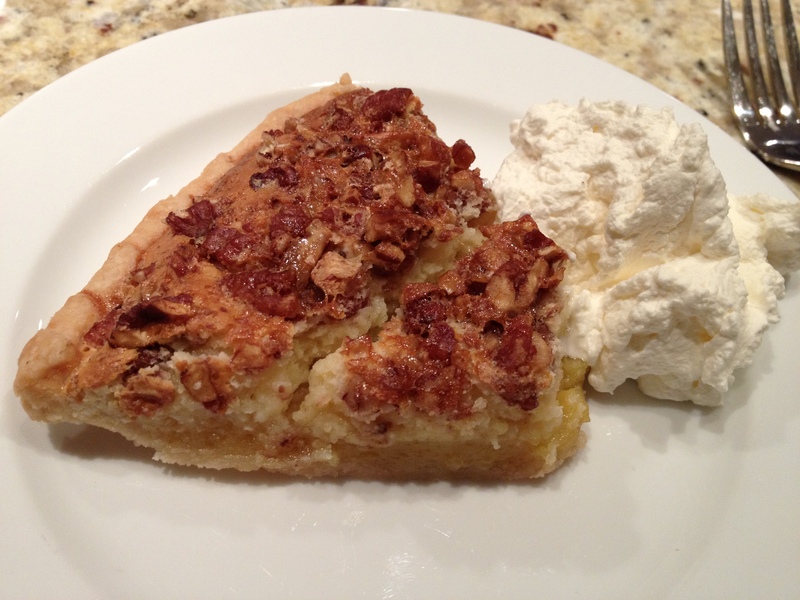 My favorite part was the top layer–pecan pie!